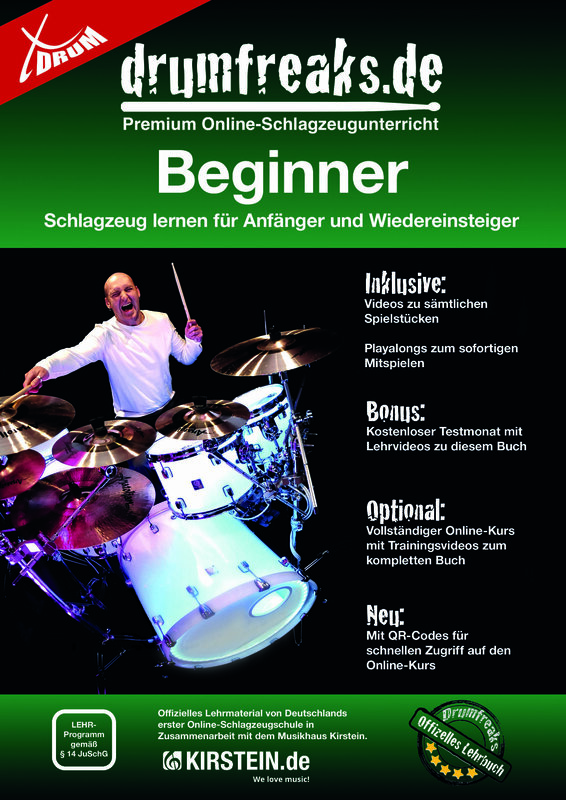 Shells sizes: 20" BD, 10", 12", 14" TT, 14 SN, practice cymbals consisting of a set of hi-hat cymbals 14" and 1 crash ride cymbal 16"
As early as 10,04 € month financing with a maximum maturity of 30 months; total amount 301,20 €; Bound annual borrowing rate 5,74 %, effect. APR 5,90 %. These figures are also the representative example in the sense of §. 6a paragraph 4 PAngV Agencies are exclusively by BNP Paribas S.A. Niederlassung Deutschland, Standort München: Schwanthalerstr. 31, 80336 München. A set with everything you need to play the drums! Full Shell Set in rugged build quality with sturdy lugs for excellent tunability and exceptionally good sound. Hardware package with easy-to-adjust Tom arms for optimum adaptation to any body size. 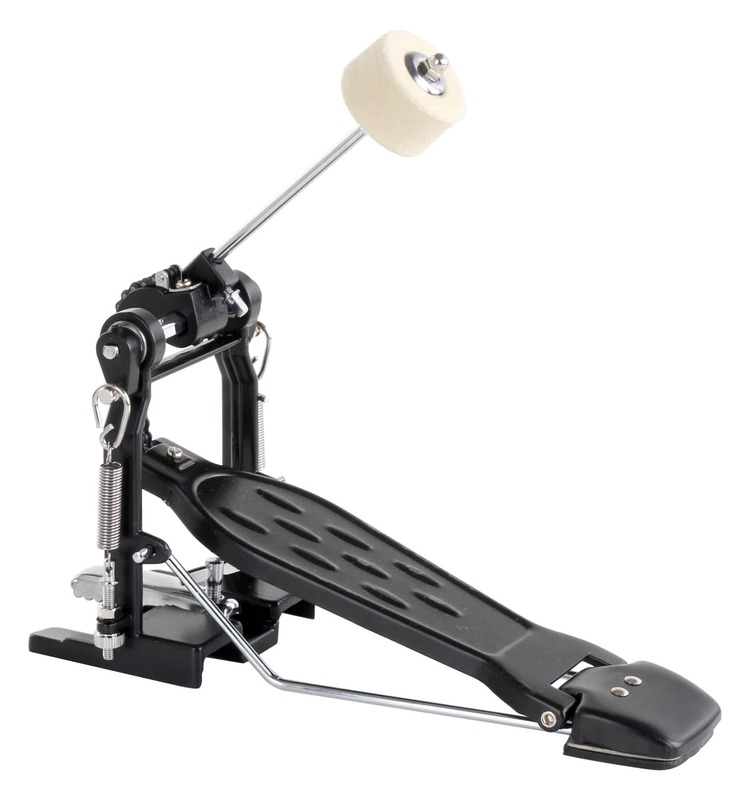 The Hi-Hat and kick pedal come with a chain. 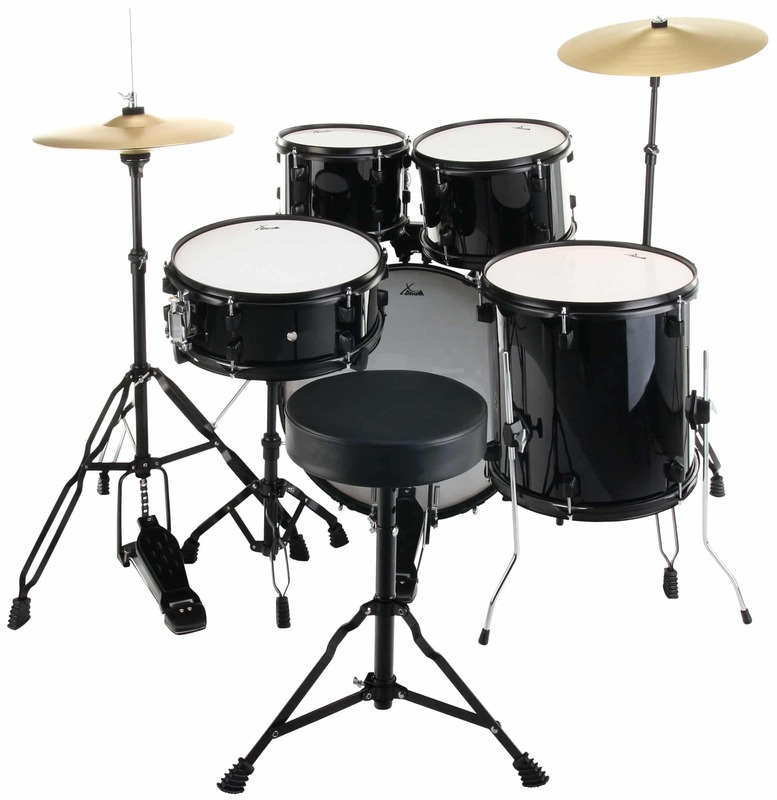 All stands and mounts are equipped with Memolocks which guarantee a trouble free assembly and helps to adjust the drums to the first settings. 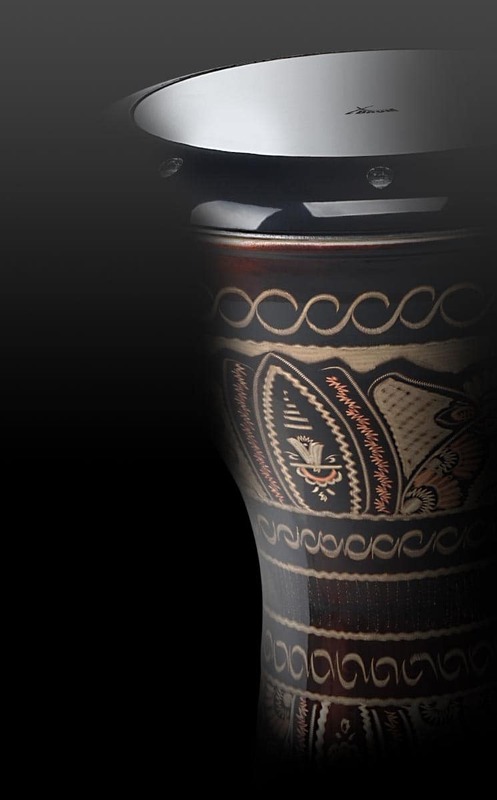 All drums are equipped with high-quality skins and they are pre-assembled except for a few handles. 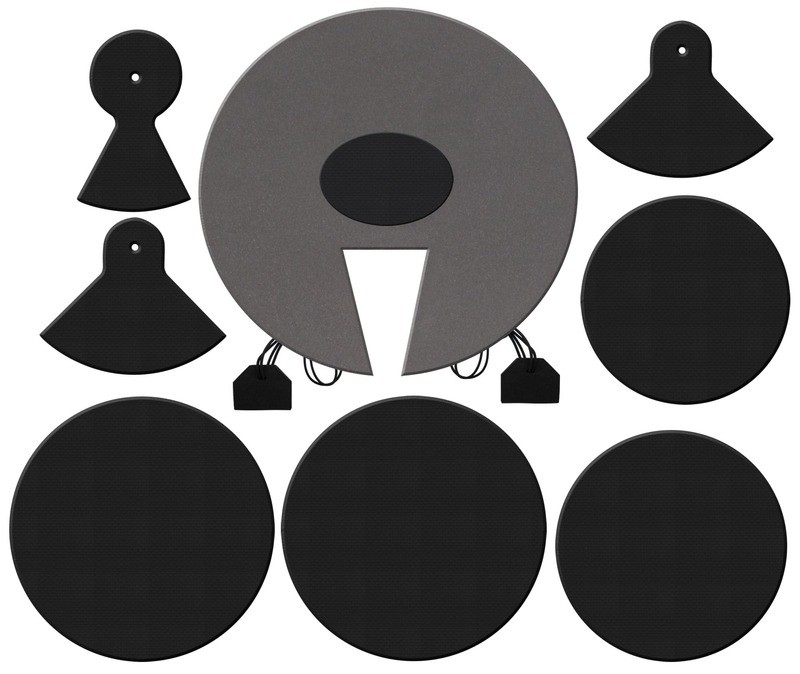 To leave no wishes unfulfilled, you will receive the complete set with special, practive cymbals with little sustain. 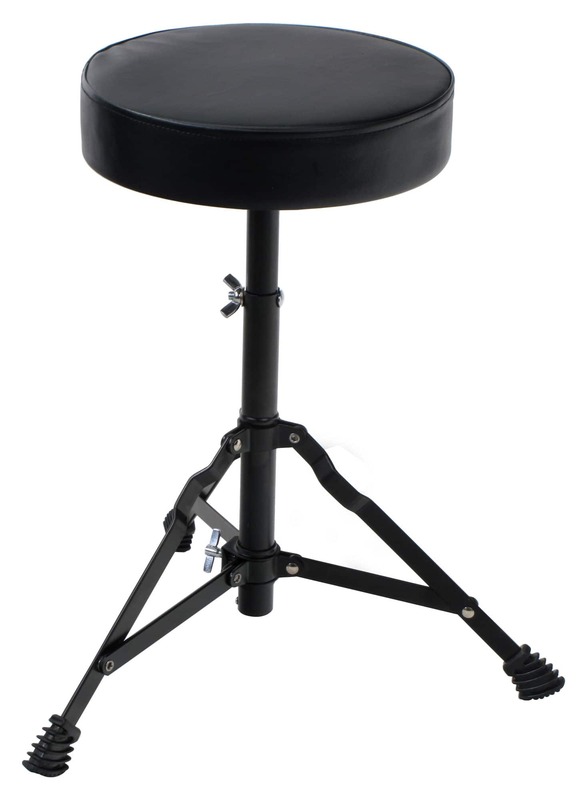 Additionally, you will receive a height-adjustable stool which allows small and big people alike to sit comfortably on the instrument, a high-quality neoprene damper set, a pair of drumsticks and detailed assembly instructions. 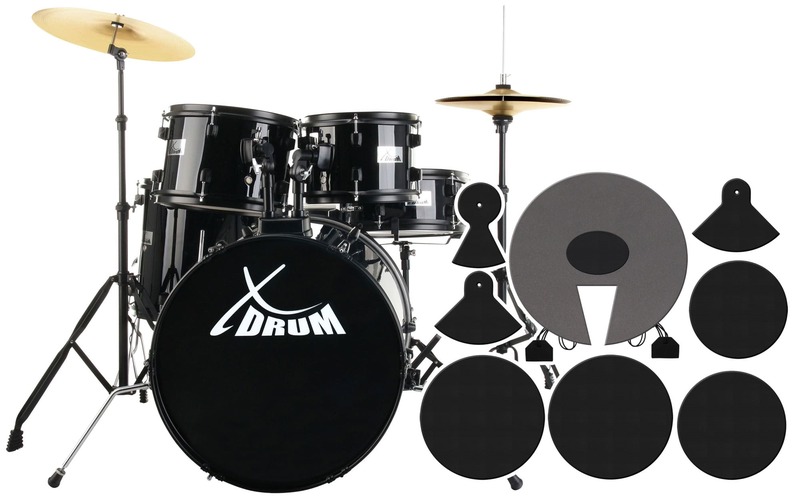 XDrum Classic Drum Bag Set, Studio sizes: 22",14",12",10" und 14,5"
Meine Tochter hat gerade angefangen Schlagzeugunterricht zu nehmen. Sie kommt mit diesem Set gut zurecht. Der Aufbau ist Dank der Anleitung einfach und ich bin von der Qualität begeistert. Das Schlagzeug kann man individuell anpassen und das Dämpferset ermöglicht es auch in der Wohnung zu spielen ohne im Spielen eingeschränkt zu sein. Wir sind begeistert und werden sie weiterempfehlen. Das Preis-Leistungsverhältnis ist sensationell !! !